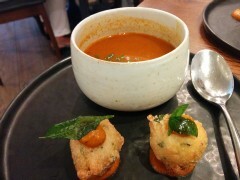 My first course: vada and rasam. The rasam was this spicy tomato soup. 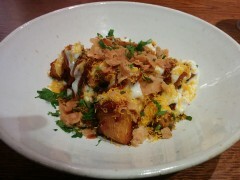 Second course - aloo chat. 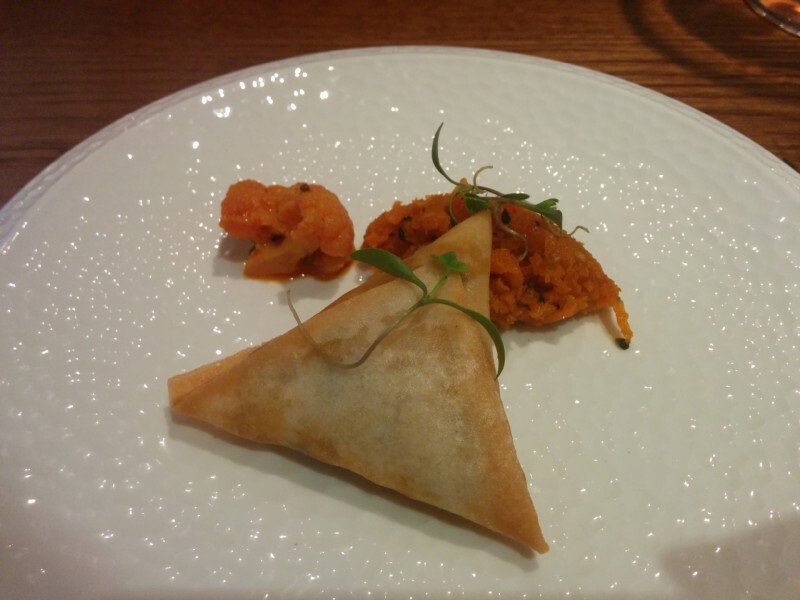 Third course - cauliflower samosa. This is actually Chie's fourth course, they got these the wrong way round (and I didn't get a picture of mine after we swapped). Fifth course - paneer tikka. 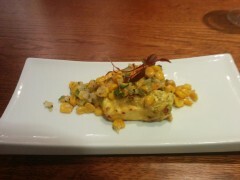 The two of us at our table as the sixth course arrived. 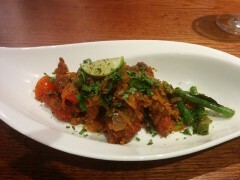 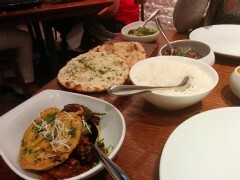 Sixth course - bharli vangi (an aubergine dish) with various accompaniments. 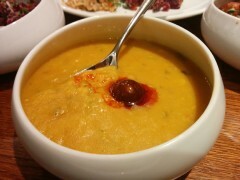 The Hyderabadi daal was good - that's a Scotch bonnet on top, which we chose not to eat. 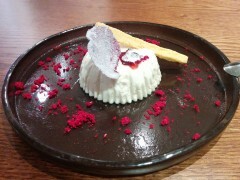 Seventh course - rose bappa doi. Rather unglamorously on the number 2 bus on the way back. 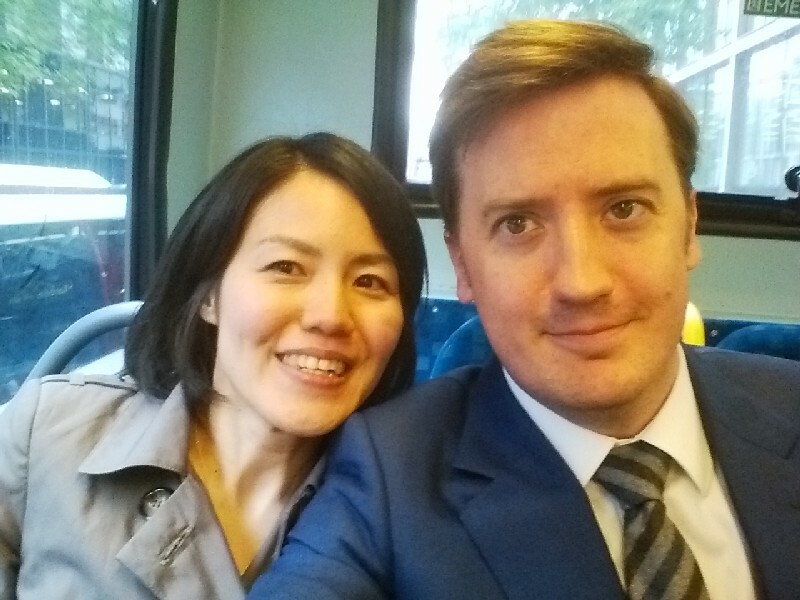 We picked up Erika from nursery together today, which was nice for a change.